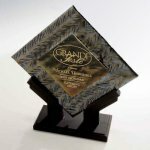 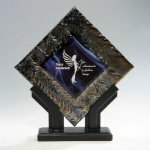 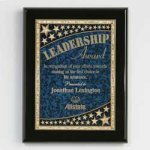 Created by artisans, these fused art glass awards are hand kilned bringing artistry and contemporary style to an achievement. 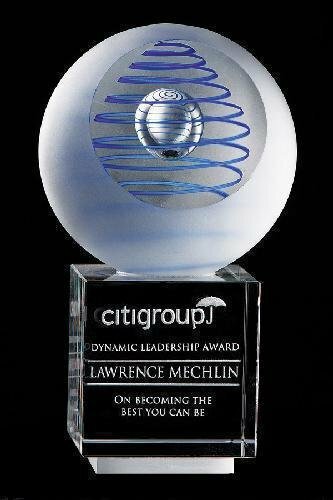 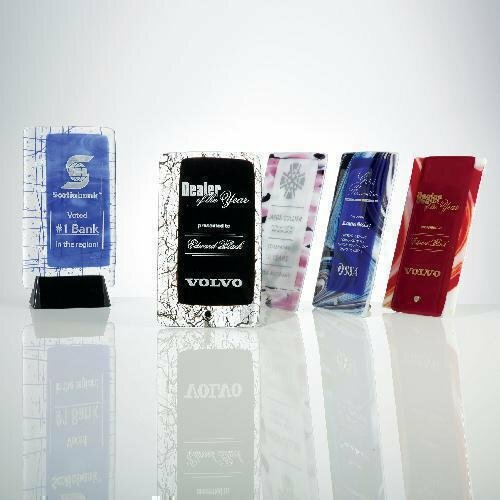 The elegant peg is the standard method of holding the award and can be upgraded to a molded triangular base. 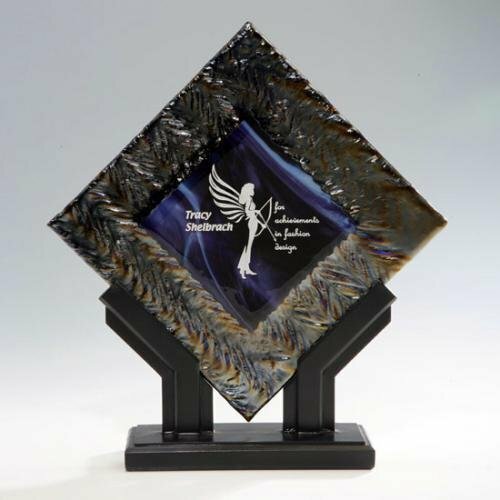 The Sapphire Fusion is shown on the upgraded triangular base. 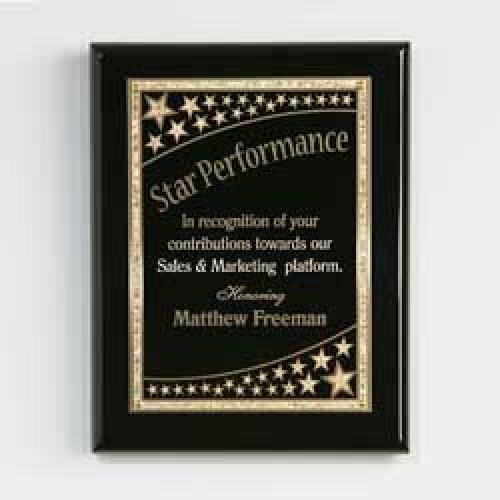 Fusion products are available in many custom colors. Shown are customized red and pink fusion awards. Call factory for pricing on special colors. Fusion glass is perfect for laser engraving.